Thanks for your help. Somebody had to do it. I never had the courage to take aim at myself and pull the trigger. The shriek of the siren breaks what little silence remains intact after the echo of your shots. Translation copyright © 2013 by Lawrence Venuti. 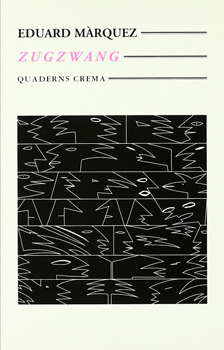 This translation first appeared in The Brooklyn Rail in November 2013, along with seven other stories from the collection Zugzwang, originally published in Catalán by Quaderns Crema. Read more. Eduard Màrquez was born in Barcelona in 1960. He published two books of poetry in Spanish before publishing Zugzwang (1995), another collection of short fiction L’eloqüència del franctirador (The Sharpshooter’s Eloquence, 1998), twelve children’s books and four novels, all originally in Catalán. 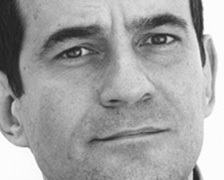 His novel La Decisió de Brandes (Brandes’s Decision, 2006), won the Premi Octavi Pelissi, the Premi de la Critica, and the Premi Qwerty. His work has been translated into Spanish, German, Italian and Turkish, but never before published in English. Lawrence Venuti translates from Italian, French and Catalán. His translations include I.U. Tarchetti’s Gothic romance Fosca, Antonia Pozzi’s Breath: Poems and Letters, the anthology Italy: A Traveler’s Literary Companion, Massimo Carlotto’s crime novel The Goodbye Kiss and Ernest Farrés’s Edward Hopper: Poems, which won the Robert Fagles Translation Prize. His essays are collected in Translation Changes Everything: Theory and Practice (Routledge, 2012). Read his translation of Pere Calders’ ‘Subtle Invasion’ in our September 2013 issue.